It’s April and Easter is upon us, and that means egg hunts, lots (and lots) of chocolate and plenty of delicious feasting. If you’re looking for a spot to celebrate the joyous season, we’ve got you covered. 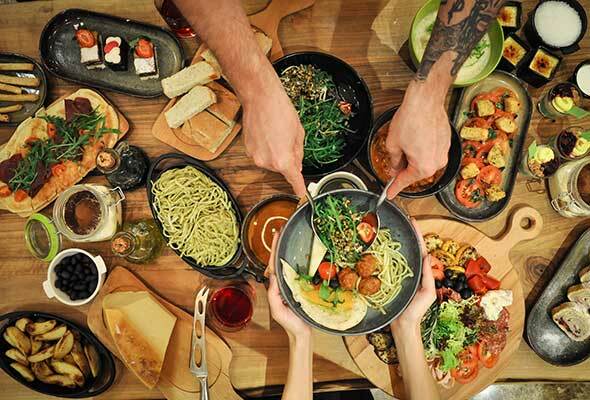 Whether it’s a laid back set lunch, a party-ready egg-stravaganza, or a roast at Gordon Ramsay’s Bread Street Kitchen, we’ve rounded up a list of restaurants offering up some tasty Easter meals. 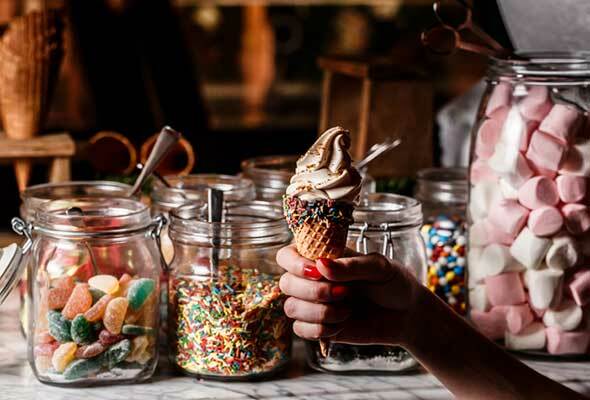 While Easter Sunday is on Sunday April 21, many venues across Dubai are hosting their Easter celebrations during the weekend running up to Easter, while some venues are running week-long offers, so check before you book in a table for your celebrations. It’ll be an Easter sp-egg-tacular at Park Hyatt’s famed Traiteur brunch on Friday April 19. 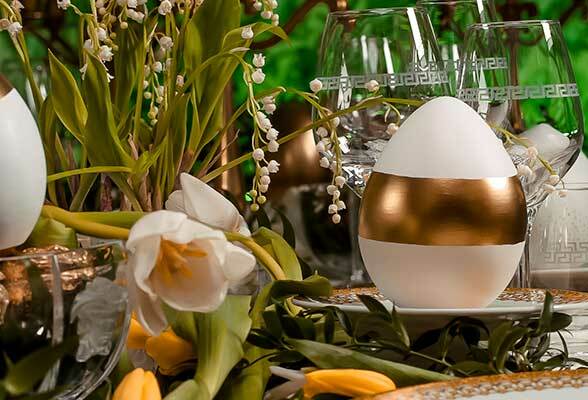 As well as the usual lavish buffet and free-flowing drinks, guests can expect a magical Easter forest comprised of hundreds of chocolate eggs and have a chance to crack the golden egg to win one of the prizes including a night’s stay at the resort. 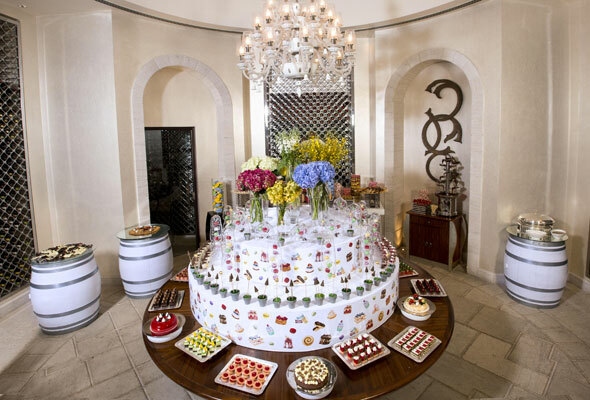 Branded the ‘Double Egg-streme’ Easter brunch, this family day out at Fairmont The Palm promises something for all ages. DJ Timo will provide the live entertainment while you soak up the sun, take in the sights and tuck into your meal. As for the kids, plenty of fun-filled activities await, including a kids’ club with face-painting, arts and crafts, a petting zoo and the obligatory egg hunt. The food and drink spread will come from the hotel’s top restaurants and will comprise of multi-cuisine specialties and Easter favorite dishes. This egg-citing brunch will feature several live cooking stations, featuring Arabic, Mediterranean and Asian specialties, including live BBQ serving up steaks, ribs, gourmet burgers, hot dogs, grilled seafood and a tandoori station. Kids will be kept busy too, with an Easter bunny-led egg hunt. There will also be a bouncy castle, face-painting, and balloon bending, as well as a dedicated kids’ buffet and juice stations. 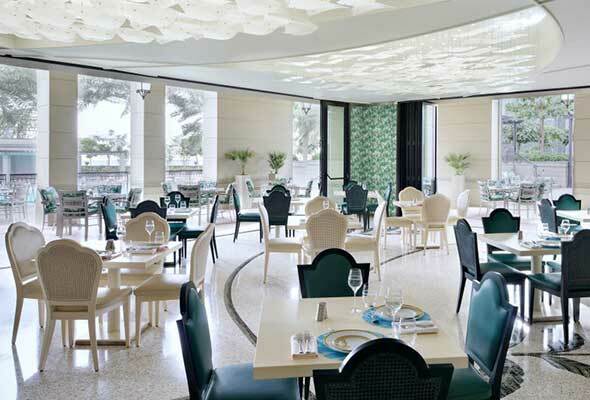 The Raffles Easter Market Brunch will takes place in Azur and across the third-floor outlets. This picturesque spot will be serving up a truly gourmet feast alongside stellar sea and marina views, live music and an egg hunt that’s open to children and adults alike (don’t get too competitive now!). Arrive early to get access to the pool and beach. 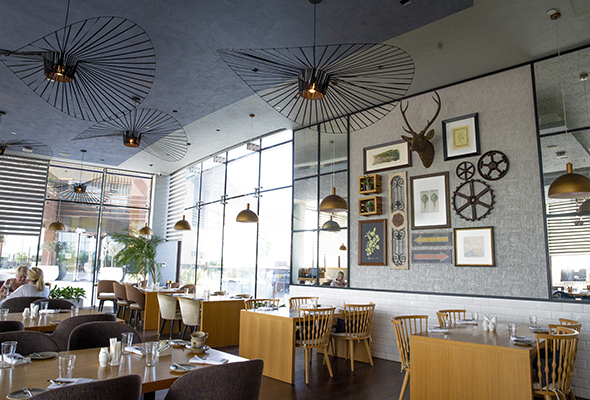 Known for its British menu and traditional roasts, Gordon Ramsay’s Award Winning restaurant is a prime spot for a traditional Easter lunch with all the family. With a kids’ masterclass and traditional playground activities as well as an egg hunt, little ones will be well taken care of, so the grown-ups can kick back and relax. 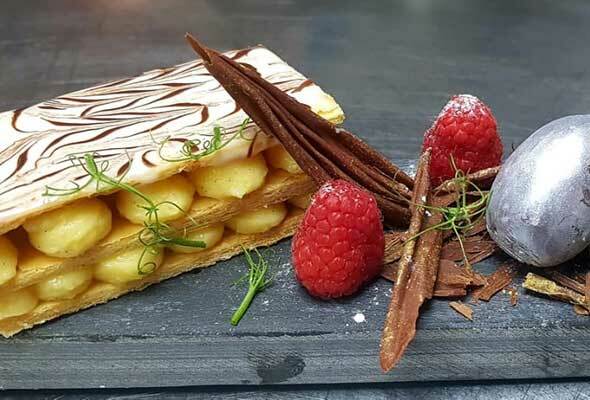 A true family affair, this Easter event will be serving up traditional festive French dishes and egg-based brunch favourites, as well as a host of global cuisines, pastries and decadent chocolate desserts. There’s an Easter bunny and egg hunt for the kids, and beach and pool access is available for an additional fee. 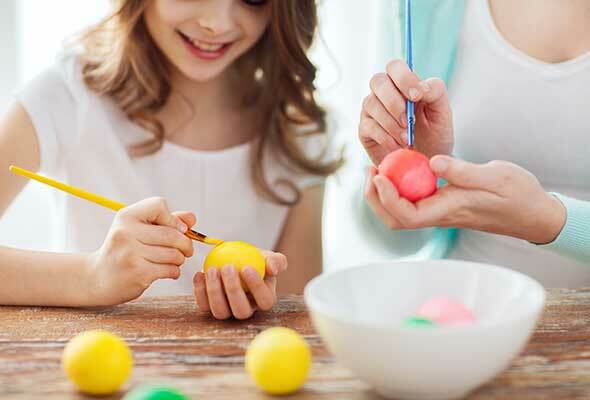 One for those with kids, The Talk’s Easter extravaganza comes with a huge array of activities that’ll keep little ones busy and offer adults a chance to truly kick back and relax. Expect a dedicated kids’ area, an Easter Bunny-led egg hunt, egg decorating and face painting, as well as live cooking stations and food from across the globe. 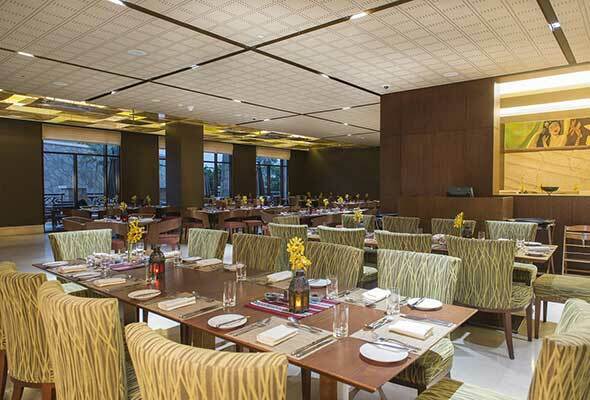 For a family celebration with Middle Eastern flair, head to Al Forsan. There’s live music, one of the city’s best buffet spreads and a huge range of children’s entertainment, from clowns to camel rides. There’s also a nanny-dines-free deal too, for those with a brood to keep track off. 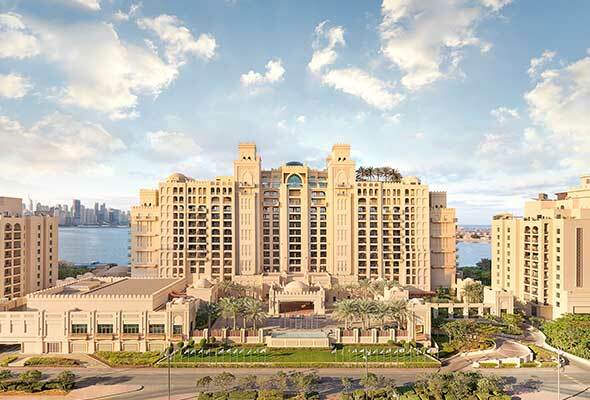 Two restaurants from this -fivestar luxury hotel will be celebrating Easter this year. Vanitas, the hotel’s Italian restaurant will be offering a set four-course menu for Dhs350 from April 19 to 21 with dishes like Hokkaido Scallops Carpaccio, Fava Beans & Mint Risotto on the menu. Giardino, the hotel’s International restaurant will be hosting an Easter brunch from 1pm to 4pm on April 19 that includes an Easter egg hunt among other exciting activities for the kids. 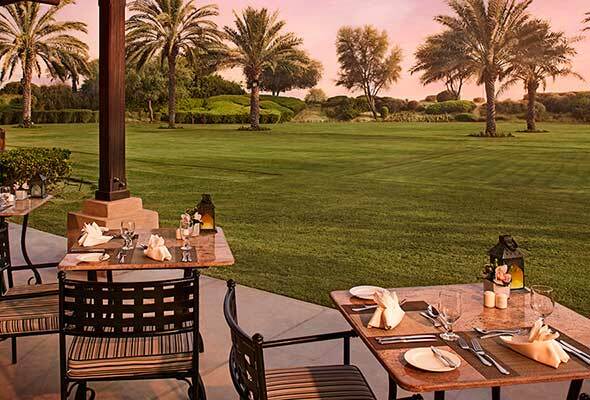 You can choose to spend Easter dinner here as well on April 21 for Dhs230 (no drinks). 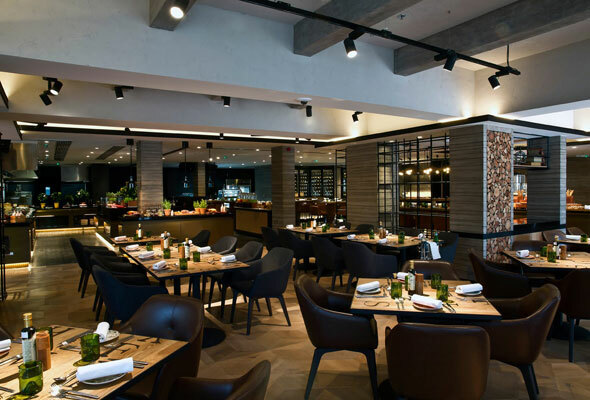 Located at The Atrium in Al Habtoor City, this South African Steakhouse is celebrating Easter with a special weeklong steak promotion. Starting April 14, guests can purchase one steak, and get another one of the same kind absolutely free. And as if that wasn’t enticing enough, you’ll also get a free Easter dessert. You can have your pick from a variety of meats like the South African Rump, Argentinian Grass Fed Filet, Australian Angus Sirloin, Australian Angus Rib Eye, mighty Tomahawk steak and more. Cipriani will be celebrating the joyous occasion with an Easter inspired menu designed to bring all your loved ones together with their four-course meal. Begin your meal with a baked white asparagus with hollandaise sauce or buffalo mozzarella, followed by white tagliardi pasticcio with veal ragu or risotto with white asparagus and red prawns. 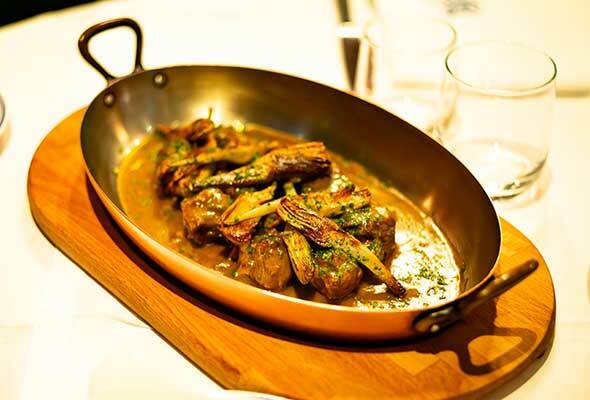 The main course includes lamb spezzatino with artichoke and mashed potatoes and pan seared monkfish with artichoke. Finish off your meal on a sweet note with a whipped tiramisu alongside a premium cup coffee of tea. 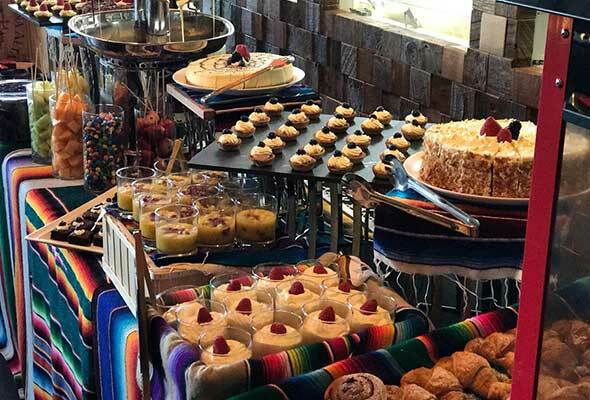 Celebrate the Easter season in true Mexican and Latin American style with a mouthwatering brunch and an Easter egg hunt with some fantastic prizes up for grabs. The spread is vast so apart from the nine different seasonal salads, you will also find a cold station featuring unlimited guacamole and ceviche, a live nacho station, and tacos. The main course station features seven delicious dishes from seafood, beef, lamb to chicken so there’s something for everybody’s palette. Save some room for dessert as there’s a special Easter-themed dessert counter serving Easter eggs, bunnies and an assortment of pastries. There’s also face-painting and fun, interactive games for the kids. 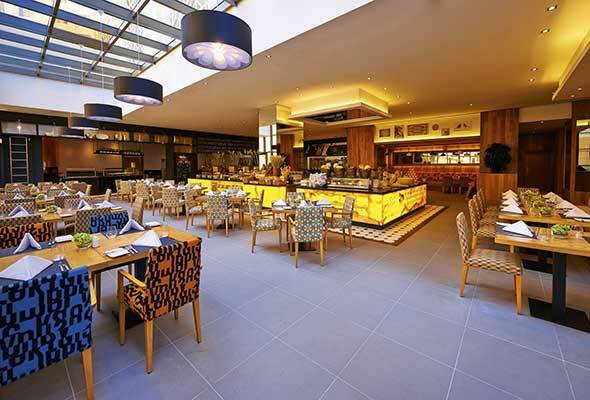 The usual Friday brunch at Yalumba gets an egg-celent twist to celebrate Easter on April 19. Apart from some delicious eats like roast turkey and cured meats, there will be an exciting egg-hunt, live music, fun activities and many chocolate-themed events that adults and kids can enjoy. You can also enjoy a 20% discount on all beverages from 3.30pm. 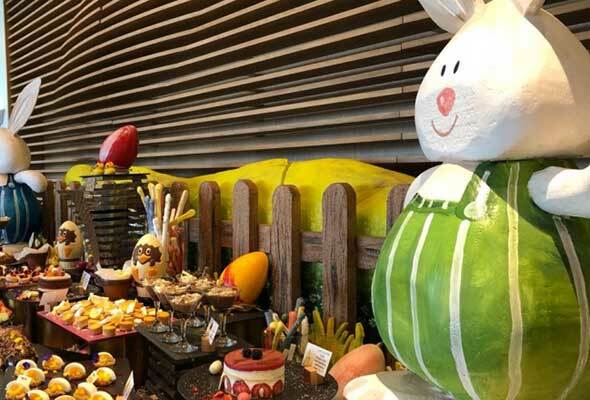 One of the most family friendly eateries in Dubai is celebrating Easter with a sumptuous Easter themed buffet feature an array of dishes such as farmed rabbit roulade, lamb shanks, seared fish, and much more. For dessert, there are chocolate bunny domes, Easter egg macaroons, jelly bean Easter egg cookies, and more. There’s a play house for the little ones with activities like egg decorating and an egg hunt and there will be a special visit by the Easter Bunny. If you’re in the mood for some delicious, home-cooked Italian food this Easter, then make your booking at Alloro where you can enjoy just that. The authentic Tuscan restaurant will be hosting a Friday Easter themed brunch on April 19, featuring a lavish buffet and plenty of presents for kids. Celebrating it’s first Easter since reopening, The Restaurant at Address Downtown will be hosting a lavish Easter weekend brunch on April 19. 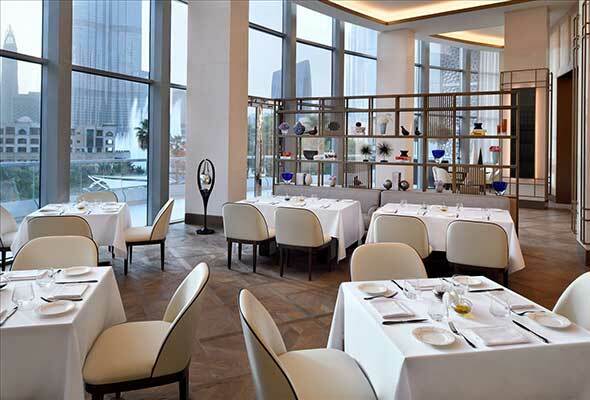 Take in the iconic views of the Burj Khalifa while enjoying a buffet-style feast for appetisers, family-style mains and sharing-style desserts. Don’t miss the overflowing chocolate fountain and the Easter egg hunt for the little ones. 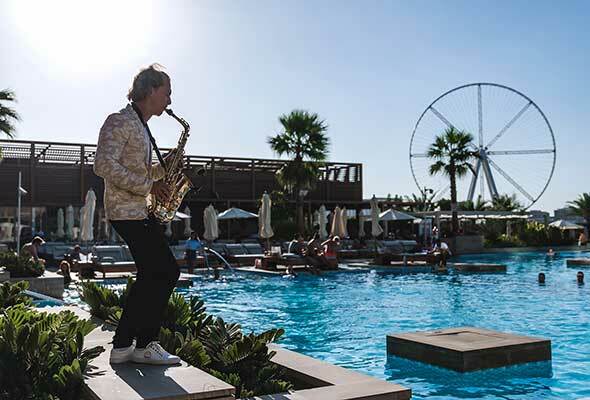 Have a relaxing Easter Sunday whilst on a sun bed on Azure Beach’s large lawn while enjoying the beats from a live DJ and Saxophonist. 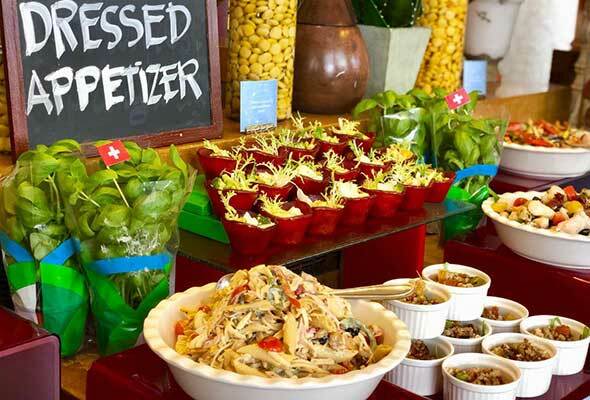 The specially-curated Easter Brunch features a mouth-watering Asian fusion cuisine paired with your choice of either soft, house or champagne package. You can even mix things up and select a drink (or two) from the pop-up drinks bar. Catch the Easter bunny who will be hopping around serving sweet treats to all guests. For a family-friendly Easter feast, make your way to Stoke House on Friday April 19. Their Easter brunch will serve up free flowing seafood, pizzas and barbecued meats alongside unlimited drinks from 12.30pm to 3.30pm. With something for everyone, there will be plenty of activities for the kids including games, egg painting, egg hunt with the Easter Bunny, a cookie masterclass as well as Disney classics screening in the kids’ area! Stoke House, Damac Hills Golf Course, Damac Hills, 12.30pm to 3.30pm, Friday April 19, Dhs195 soft, Dhs295 house, Dhs85 children.